Condition: Hardcover, with dust jacket. Very good. Small closed tears to dust jacket and slight tanning to book. 106pp. Milarepa (c. 1052 – c. 1135 CE) is generally considered one of Tibet’s most famous yogis and poets. He was a student of Marpa Lotsawa, and a major figure in the history of the Kagyu school of Tibetan Buddhism. Milarepa’s life represented the ideal bodhisattva, and is a testament to the unity and interdependency of all Buddhist teachings – Theravada, Mahayana and Vajrayana. 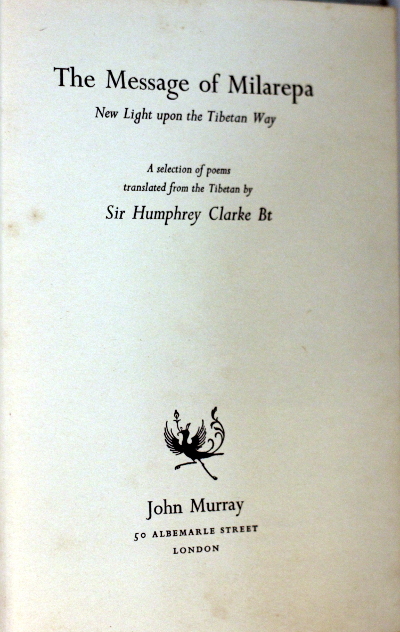 He showed that poverty is not a deprivation, but rather a component of emancipating oneself from the constrictions of material possessions; that Tantric practice entails discipline and steadfast perseverance; that without resolute renunciation and uncompromising discipline, as Gautama Buddha Himself stressed, all the sublime ideas and dazzling images depicted in Mahayana and Tantric Buddhism are no better than magnificent illusions. He also had many disciples, male and female, including Rechung Dorje Drakpa and Gampopa His female disciples include Rechungma, Padarbum, Sahle Aui and Tsheringma. 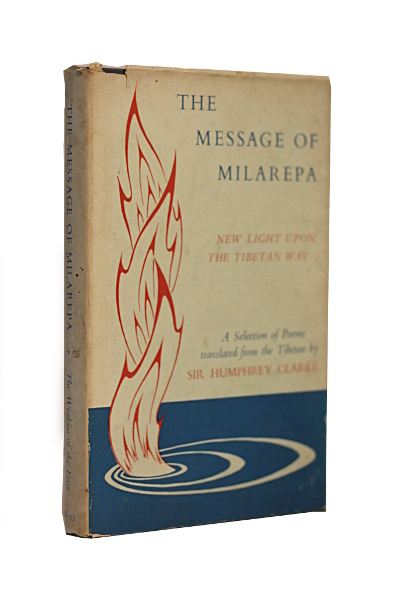 It was Gampopa who became Milarepa’s spiritual successor, continued his lineage, and became one of the main lineage masters in Milarepa’s tradition.